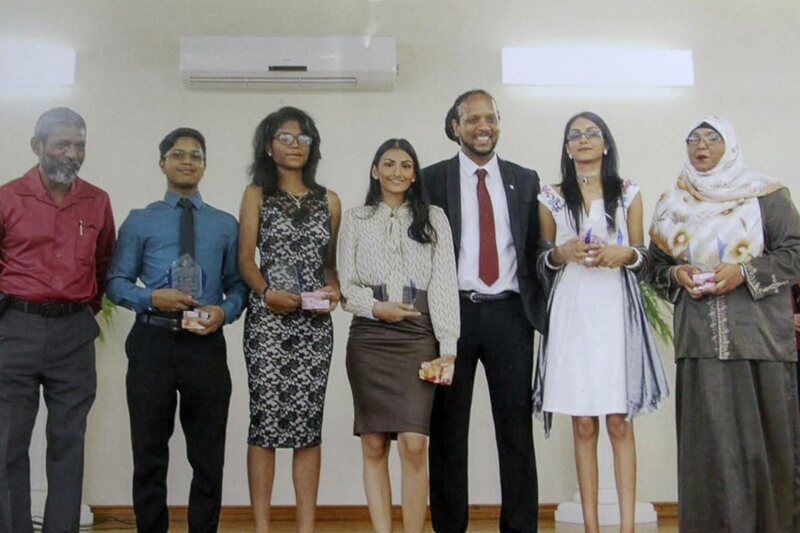 St George’s College principal James Sammy (left to right, scholarship winners Adam Ali, Shania Caitlin Chadee, Azanna Mohammed, Abigail Ramlal and Rehanna Ali with past student chef Hassan De Four at the school’s awards ceremony, St Mary’s Anglican Church Parish Hall, Tacarigua on November 17. Absent are Megan Lawrence and Jewel Mulrain. St George’s College celebrated its seven national scholarship winners at an awards ceremony last month. The Barataria school recognised the success of Megan Lawrence, Azanna Mohammed (business) Adam Ali, Rehanna Ali, Shania Caitlin Chadee, Jewel Mulrain and Abigail Ramlal (natural sciences) all recipients of additional scholarships based on the 2017 CAPE results. The ceremony took place on November 17 at St Mary’s Anglican Church Parish Hall, Tacarigua. The theme was The Power of Determination. Also honoured was past student Hasan De Four, a renowned chef and restaurateur who is based in London. Reply to "St George’s celebrates schol winners"